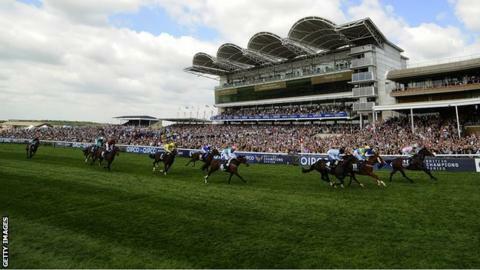 Toormore goes on trial for next month's 2,000 Guineas in the Craven Stakes at Newmarket on Thursday (16:05 BST). Last season's top-rated juvenile, trained by Richard Hannon, faces five rivals including stablemate Anjaal. Toormore was unbeaten as a two-year-old and is 7-1 third favourite for the Guineas behind Kingman and Australia. Thursday's rivals include the Godolphin team's Be Ready, a son of 2008 Derby winner New Approach, who sired last year's Guineas victor Dawn Approach. Hannon holds the training licence for the first time this season having taking over from his Wiltshire-based father Richard following his retirement. He made a big impact at Newmarket on Wednesday as supposed second string, Magnus Maximus, won the £100,000 Tattersalls Millions Sprint at 25-1 before 13-8 favourite Shifting Power landed the European Free Handicap by a head from Mushir. Asked whether the success of Shifting Power, a regular gallops companion of Toormore, should be seen as a good sign, Hannon added: "It's encouraging, yes, big time. "He's ready to do himself justice, and is fit enough, if good enough, to win." The Craven Stakes sextet are completed by Patentar, for Marco Botti, Luca Cumani's Postponed and The Grey Gatsby from Kevin Ryan's yard.